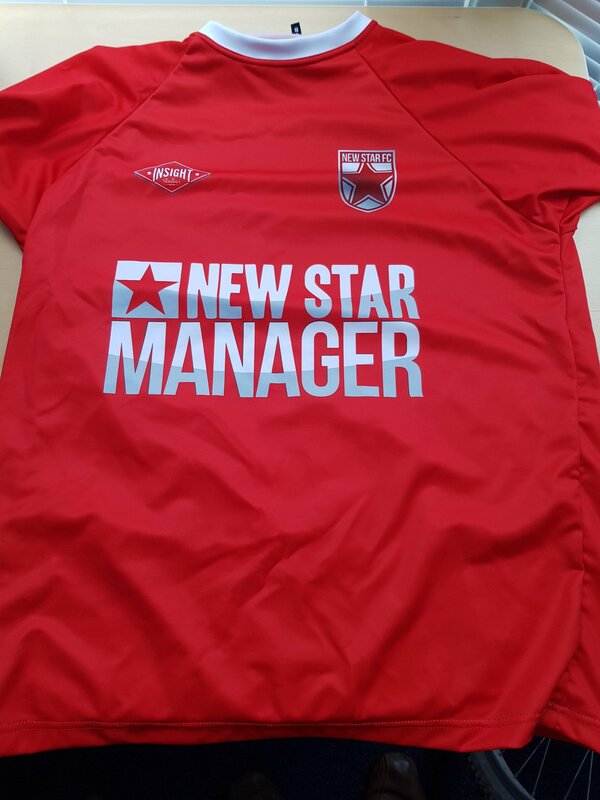 Free games: Win a Steam key for New Star Manager plus a football shirt! Congratulations! You’re the new manager of New Star FC. What’s gonna be your first move? Go on, tell us. Alright, pressure’s off – you’re not actually the manager of a football club that’s down on its luck… and skill. But you could be. As we’re giving away ten Steam keys for New Star Manager, which was originally released on mobile, but has now been released on Steam. Not only that, we’re giving away a football shirt with each Steam key, so you can don your team’s colours while you play. If you’re unfamiliar with the New Star series then what you should know first of all is that it’s actually won its creator, Simon Read, a BAFTA. Not bad, eh? 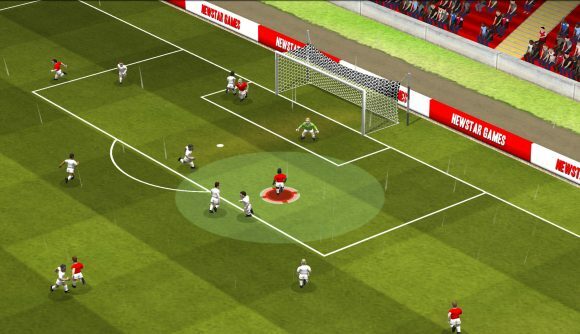 The original games – New Star Soccer – were about being a young and upcoming player and rising through the footballing ranks to become a star. This new game, New Star Manager, adds much more to that career focus, as you play as a manager, unsurprisingly, so you have to make all the big decisions, deal with stroppy players, and invest your money in new talent wisely. There’s much more to New Star Manager than spreadsheets and stats, though. You actually get the chance to control players during matches – to an extent. The game uses mouse-based controls to let you pass the ball around and shoot for a chance to score. While doing that, you can also make tactical substitutions, change formation, and motivate your squad in the locker room during half-time. Of course, there are plenty of numbers to crunch and people to keep happy, too: hiring stadium staff, building facilities, negotiating with sponsors, and talking to the press. It’s the full football team management experience. If you want to win one of the ten Steam keys and football shirts we have for New Star Manager then all you need to do is enter the competition via the widget below. Every action you complete is worth one entry into the giveaway, with the more actions you complete increasing your chances of winning.